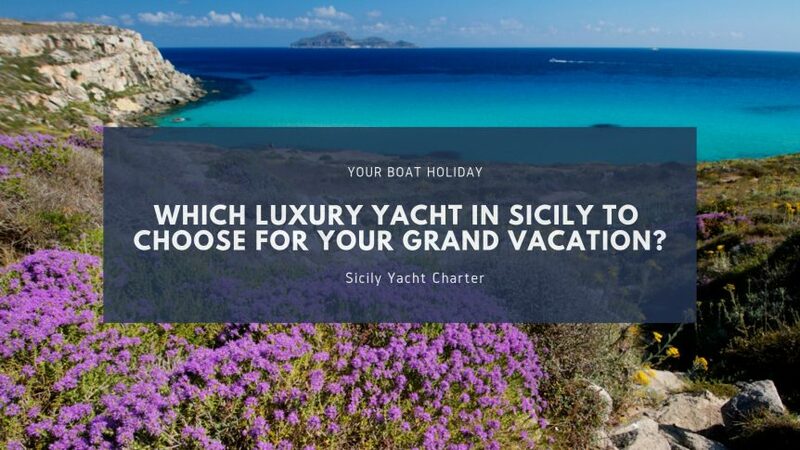 Which Luxury Yacht in Sicily to Choose for Your Grand Vacation? - YBH Which Luxury Yacht in Sicily to Choose for Your Grand Vacation? News & Trends Which Luxury Yacht in Sicily to Choose for Your Grand Vacation? The German author, Johann Wolfgang Von Goethe, described Sicily as a true enchanter for a bedazzled wanderer who finds herself on the shores of this ancient land. This island on the southern tip of Italy has been luring unsuspecting travellers with its ethereal splendour for centuries, compelling many archaic civilisations to plant their roots here. The near triangular shape of the island has earned it the name ‘Trinacria’, a Greek word for ‘three-pointed’. With an estimated length of 922 miles, Sicily has one of the longest coastlines in Europe. The Autonomous Region of Sicily consists of numerous smaller islands surrounding the mainland, with a combined acreage of just over 750 miles, all of which are reachable by a luxury yacht in Sicily. Sailboats are mono-hull vessels with a central ballast, which constitutes 30% of the boat’s mass on average providing stability. These boats can be of various dimensions, and you may choose the most convenient one based on the size of your team. The size ranges from the small cutter, ideal for carrying 2-3 people, to the much larger schooner and a sloop, capable of ferrying 15-18 people with relative ease. Sicily has been considered the gateway to Italy, and indeed entire Europe for a significant part of recorded history. It has transformed Sicily into an oasis of multiculturalism on the backdrop of awe-inspiring natural splendour. Relishing the Sicilian offerings to its fullest requires taking a trip on a catamaran through the multifaceted beaches that this island has to offer. On that front, you can seek out boat rental service providers who cater both crewed and bareboat catamarans for travellers open to sailing in Sicily. A catamaran is an ideal way to explore the Sicilian shoreline. These multi-hulled vessels are built for both space and comfort, with two or more hulls playing pivotal roles in reducing its hydrodynamic resistance. It allows them to reach speeds of up to 10 knots. You can get these sailable beauties with a talented crew who have taken care of numerous travellers in their long years of naval experience. If you are feeling a tad more adventurous, sailing in Sicily aboard a bareboat catamaran is for you. One cannot speak of Sicily and not mention Mount Etna in the same breath. Standing tall at 3,326 metres, it is almost synonymous to the Sicilian landscape. Mount Etna is the highest active Volcano in Europe. It is surrounded by scenic vineyards and orchids, all thanks to the highly fertile land caused by volcanic eruptions. Mount Etna draws thousands of tourists every year sailing through the coasts of Catania or Riposto and taking the scenic cableway from Sapienza Refuge ski area. Cruising on a crewed luxury yacht in Sicily propelled by a combustion engine is undoubtedly the most congenial way of relishing these natural and cultural wonders. Motor yachts are tantamount to maritime pleasure with their powerful engines capable of churning out enough power to counter the elemental forces. Most luxury motor yachts are over 25 metres in length with every convenience imaginable on board. The climate when chartering Sicily is as welcoming as the island itself with warm summers and mild winters, which increase in intensity as one moves inland. It makes sailing in a luxury yacht in Sicily an ideal vacation activity to go forward with.